We have seen the burger pumpkin before. 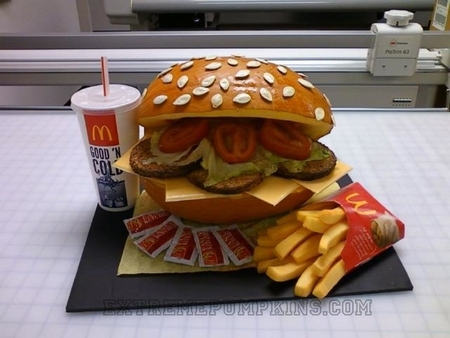 It is even in my first book, but the fries and the rest of the platter put this pumpkin over the top. Nice work.